Muckle LLP has advised Rivers Capital Partners Ltd on its first investment in the bio-technology industry, enabling a North East university spin out to develop drugs to tackle super bugs. 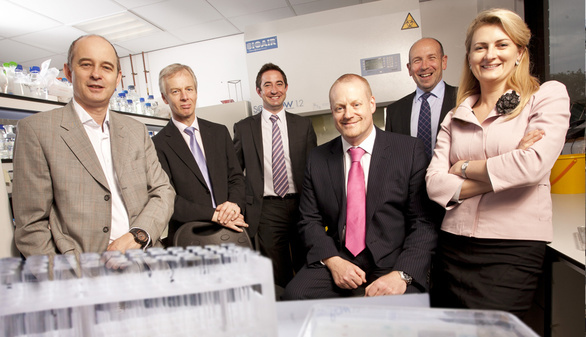 Rivers invested an undisclosed sum in Demuris, a Newcastle University bio-technology spin out which is developing antibiotics aimed at tackling problematic infections such as MRSA, E-Coli and Psudomonas aeruginosa. The need for new antibiotics is increasing as bacteria constantly evolve and become resistant to existing drugs. The company was founded by eminent cell and molecular biologist Professor Jeff Errington, Demuris’ Chairman and Director of Drug Development. Prof Errington founded the Centre for Bacterial Cell Biology at Newcastle University, the world’s largest grouping of researchers working on fundamental studies of bacterial cells. Peter Robinson, a partner and head of the Early Stage and Private Equity Team at Muckle LLP, explained that he acted on behalf of Rivers Capital in the deal. He said: “Rivers Capital realised the potential for growth in Demuris and approached us to use our experience and knowledge of spin out companies and financial models to provide insight into how they should be approaching this investment. “We acted on behalf of Rivers Capital, but also worked closely with the University and its equity holding company, Newcastle University Holdings Ltd, which has a stake in Demuris. Robin Lockwood, CEO at Demuris, explained that the investment will enable the company to proceed to the next stage of development for novel antibiotics sourced from natural products, specifically from its own unique actinomycete bacteria collection. The company has already identified several lead compounds which once developed could be the new antibiotics needed to tackle multi-drug resistant strains of infections – also known as super bugs. Natalia Blagburn, Investment Executive who led the investment at Rivers Capital, explained that funds from the Finance for Business North East Angel Fund were used, which is backed by the European Investment Bank and the European Regional Development Fund. She said: “We are very excited about our first investment in the biotech industry and Demuris is well placed to expand and become a significant player. “The company supplies a unique scientific resource to large pharmaceutical companies that has taken a worldwide search and over 40 years of academic study and research to obtain. It also carries out research seeking a cure for antibiotic resistant infections. For more information, help or advice please contact Peter Robinson on 0191 211 7937 or email [email protected].